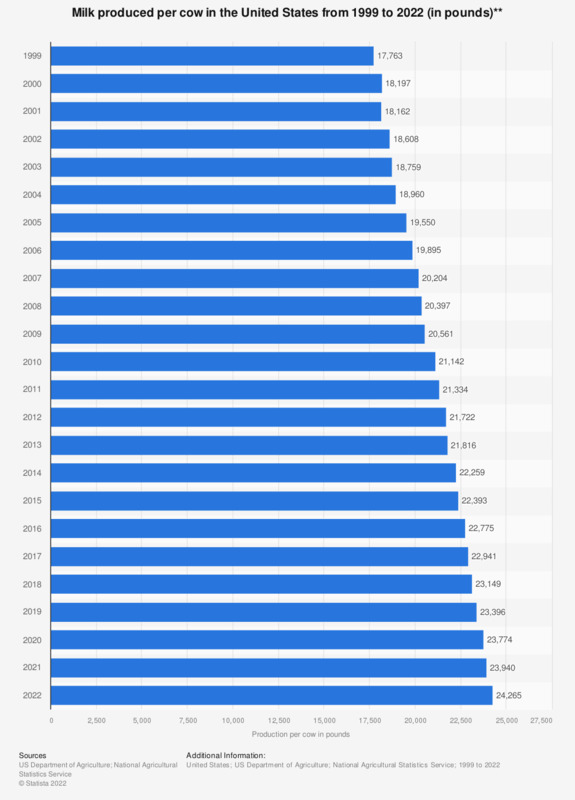 This statistic shows the milk production per milk cow in the United States from 1999 to 2018, with a forecast for 2019. According to the report, some 23,173 pounds of milk were produced per cow in the United States in 2018, up from 19,895 pounds in 2006. ** Excludes milk sucked by calves. Data for 1999-2014 were taken from previous USDA Milk Production reports.